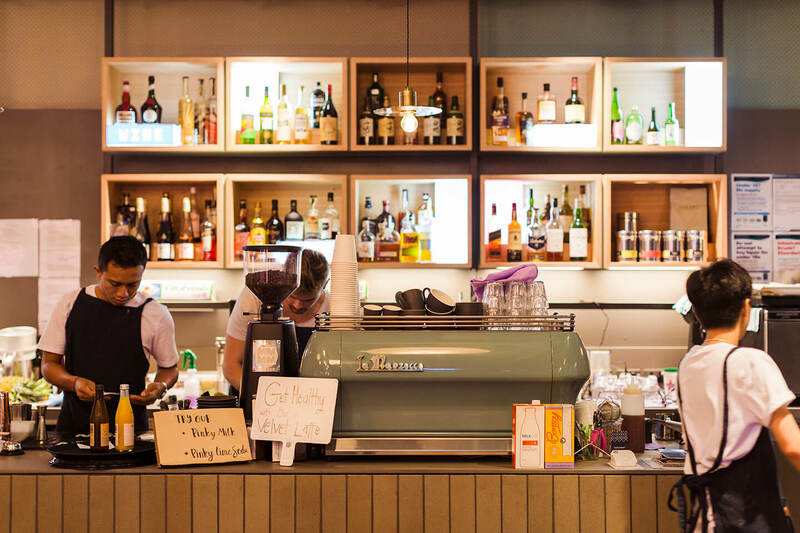 (ENG) The food centre’s comprised of one anchor tenant manymore who function as a café by day and bar by night, and four kitchens that rotate tenants every 4 – 6 months. 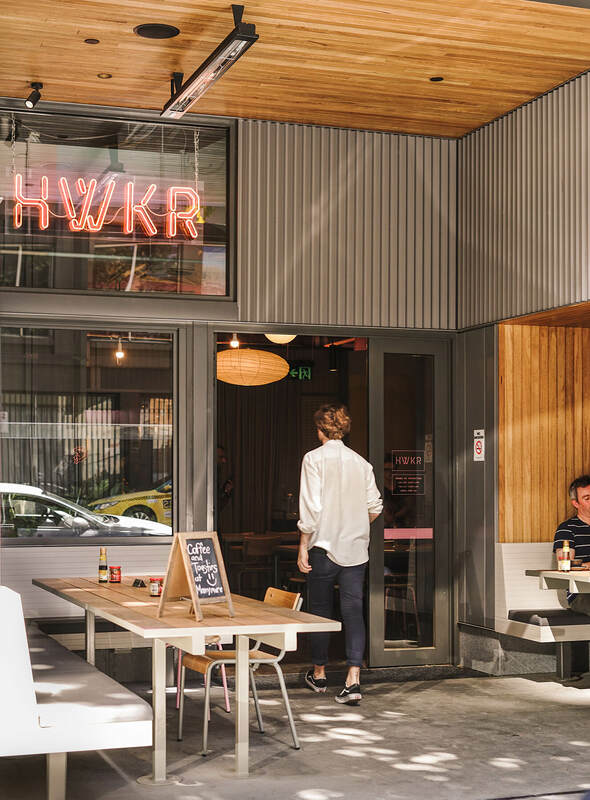 With a goal to fulfil the insatiable quest of finding lots of different food unavailable anywhere else all in one convenient location, HWKR hosts a mix of local, interstate, and international talent. 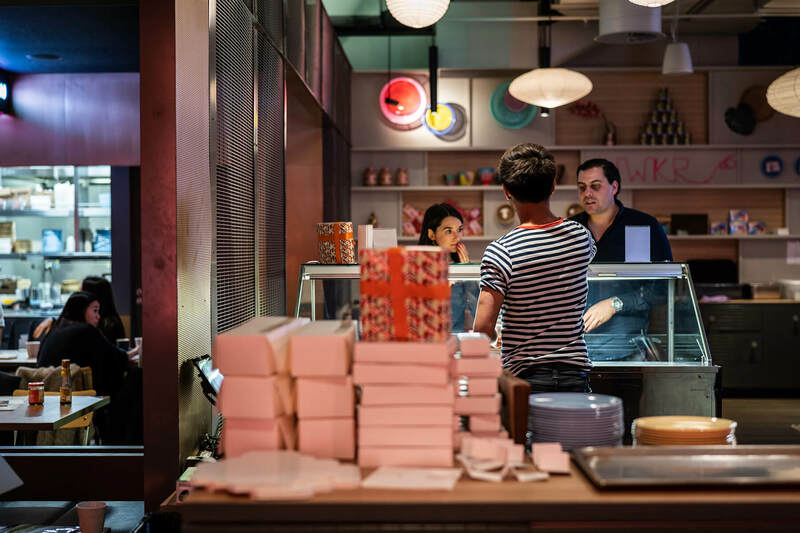 Offering celebrity chefs, exclusive restaurant collaborations, and new concept stores all in one place, HWKR continues to surprise consumers by providing regular pop-up menu items, exclusive in-store promotions, and events all year long. 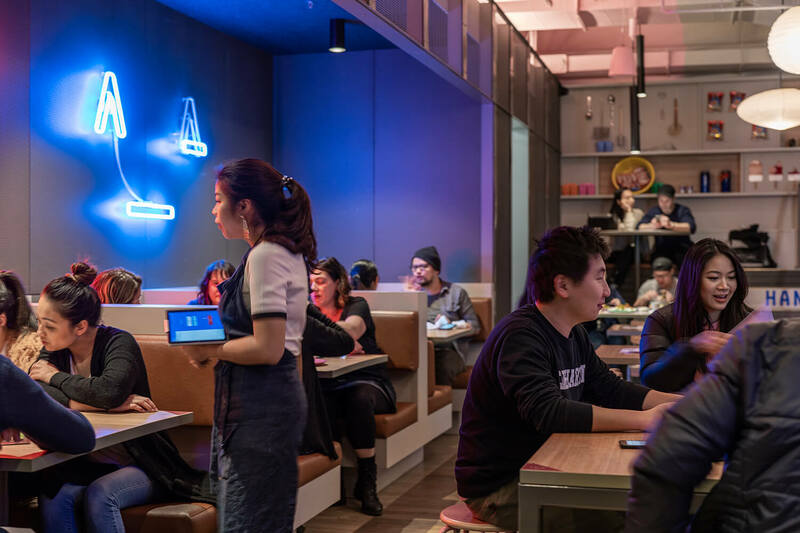 (ENG) Focused on innovation, HWKR’s incorporated free WiFi, cashless ordering, WeChat pay, and a HWKR app to prompt ease of ordering for consumers. 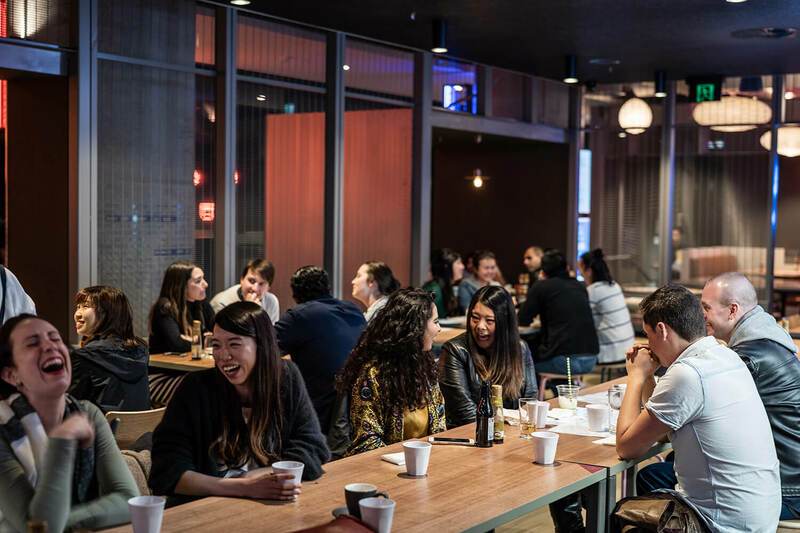 (ENG) HWKR has redefined hospitality standards forever in one beautifully designed destination featuring neon signage, LED lighting, lanterns, and timber tables.